Should You Compost Diseased Leaves? Composting fall leaves with disease symptoms (maple tar spot, powdery mildew, apple scab, etc.) is a very controversial subject. 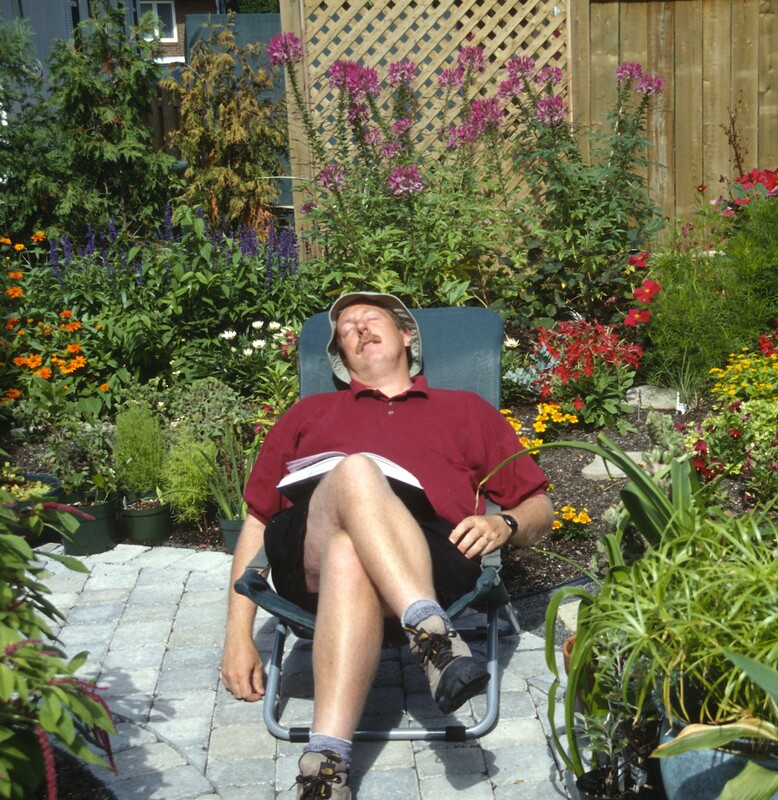 Even gardening experts have widely divergent opinions on the subject. Some recommend that you not compost diseased leaves. They insist that diseases can survive the composting process and then return to infest your plants the following year. These experts recommend instead that diseased leaves be burned (where that is legal) or composted by the municipality (most have industrial composting systems that heat up much more than the average home system, to 160 ° F [70 ° C], and thus kill any spores present on the leaves). Others say that although leaves decompose more slowly at the relatively cool temperatures of the average composter, when the compost is finally ready, the spores will have been destroyed. Any survivors will be so weakened as to be ineffective in finding their host species. Plus leaf disease spores are already so widely disseminated in nature that what you do with your leaves essentially makes no difference. If the conditions are right for the disease to develop, it simply will. That being the case, why not put the diseased fall leaves and in fact any diseased plant material in the compost? There you go: two widely divergent views. So who are you to believe? I don’t pretend to have a PhD in plant pathology, but I do garden and have done so all my life. And I’ve always put any plant refuse that is logically compostable*, both diseased and healthy, into the compost pile. I make no exceptions: everything gets composted! Even plants with invasive rhizomes and weeds bearing seeds, which we’re always told not to compost, go into my compost pile. If I see a living rhizome or seeds start to germinate in my compost bin, it’s simply a sign that the compost isn’t ready. So I “turn” the box’s contents (mix the different levels) yet again to aerate it, then wait until Mother Nature finishes her work of decomposition. She can be slow, but she is effective. *I don’t put corn cobs or large pieces of wood in the compost: they decompose far too slowly for my needs. Now, I’ve always composted diseased leaves as did my father before me (there was always a compost pile back behind our house and we tossed all our plant refuse into it). As far as I know, this has gone on in my family for generations. There was no question of not including diseased leaves in the mix. In fact, they’re the first ones to go into the pile, removed so the disease won’t spread further on the plant. Besides, ever since the first land plants evolved, quickly followed by plant diseases out to take advantage of them, that is, about 470 million years ago, dead leaves both sick and healthy have decomposed and enriched the soil. So far at least, this natural cycle has not managed to destroy plant life on this planet. I must emphasize that, in spite of my recycling diseased leaves, I don’t have more disease problems in my plants than other gardeners. To be honest, I rarely have any, although I don’t think that has much to do with what I compost or don’t compost, but perhaps from a better choice of plants and my habit of pulling out plants that don’t like my conditions. Even my tomatoes are largely disease-free: hard to believe, I know, but true. And tomatoes get more than their fair share of my home-made compost. For me, the subject is therefore closed: diseased leaves belong in the compost, period. Throwing them away is simply wasteful. By pure coincidence, while I was driving in the United States a number of years ago flipping channels on the radio, I picked up a gardening show with several distinguished guests, including Lee Reich, a renowned organic gardening guru, and Mike McGrath who was, I believe, editor of Organic Gardening magazine at the time (I can’t remember who the third guest was: sorry!). Someone phoned in about whether he should compost diseased leaves and they all seemed in perfect agreement. Sure, you should compost diseased leaves. The consensus seemed to be that all vegetable waste belongs in the compost, healthy or not! What will you do? Sort fall leaves into two heaps: diseased ones you won’t compost and healthy ones that you will? It’s up to you to decide, but the “all plant materials in the compost” method requires much less effort! Great, as I have enough to do, without sorting leaves! Thanks, Larry. I agree 100%. To think that one could remove the diseased leaves and all of he spores that are covering every inch of soil is ridiculous. And if you don’t remove it all – it will be back. Another point is that in fall almost every bit of plant; stems, leaves, seed heads has some form of disease spores even if you can’t see them. Are we going to remove it all from the garden? Now, if only we could gardeners to believe us! Love your site, by the way!